Pricing is out for the Galaxy Note 8, but prepare yourself – it’s not pretty. This phone is easily one of Samsung’s most expensive devices to date, starting at around $950. However, for that price, you certainly are getting a nice package. On top of the phone itself, each carrier appears to have their own promotions going on, as well as Samsung offering up their own. Installment Price: $40/month for 24 months on device payment plan. Installment Price: $31.67 for 30 months on an AT&T Next installment plan. Notes: Receive $500 off a Samsung TV when you buy a Galaxy Note 8 and add DIRECTV, Buy one Galaxy Note 8, get one free when you purchase on AT&T Next and add DIRECTV, Get a Samsung Gear S2 for 99-cents or the Gear S3 for $49.99 on a 2-year agreement when you buy a Samsung Galaxy Note 8 on AT&T Next, Trade in your eligible smartphone for up to $200 in credits. Installment Price: $39.59/month with Sprint Flex 18-month lease, $33.33/month for 24 months. Notes: Customers switching to Sprint get 50 percent off the lease price and pay just $20.00 per month with $0 down with 18 Sprint Flex payments, Galaxy Forever allows upgrades any time to the latest Galaxy after just 12 Sprint Flex payments, exclusively from Sprint. Installment Price: $210 down and $30/month on T-Mobile’s Equipment Installment Plan (EIP), $0 down and $39/month on JUMP! On Demand. 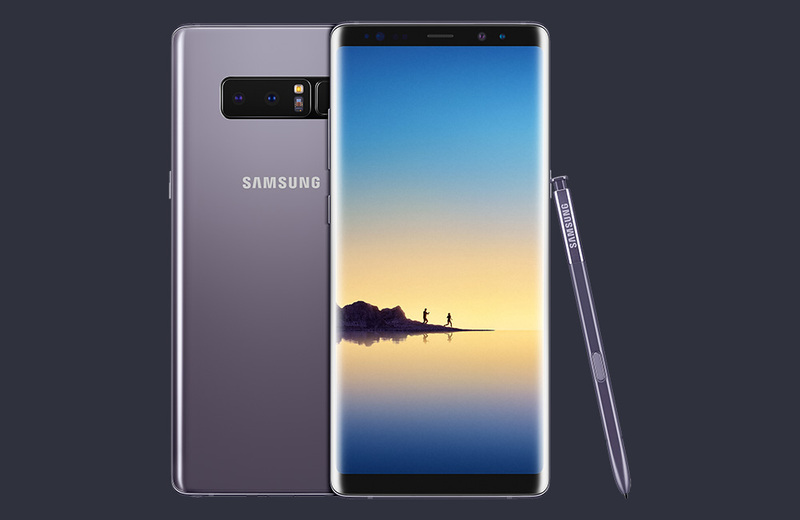 Keep in mind, Samsung is running a promotion that gets you a free Gear 360 camera or 128GB microSD card and Fast Wireless Charger for free with any purchase of the Galaxy Note 8, but still, this is a pricey phone. Does the pricing make you second guess your pre-order? Video: Galaxy Note 8 First Look and Tour!